This strain just received a highly coveted FCC/AOS and is on record as being larger in size than prior FCC’s to Phal. bellina ! 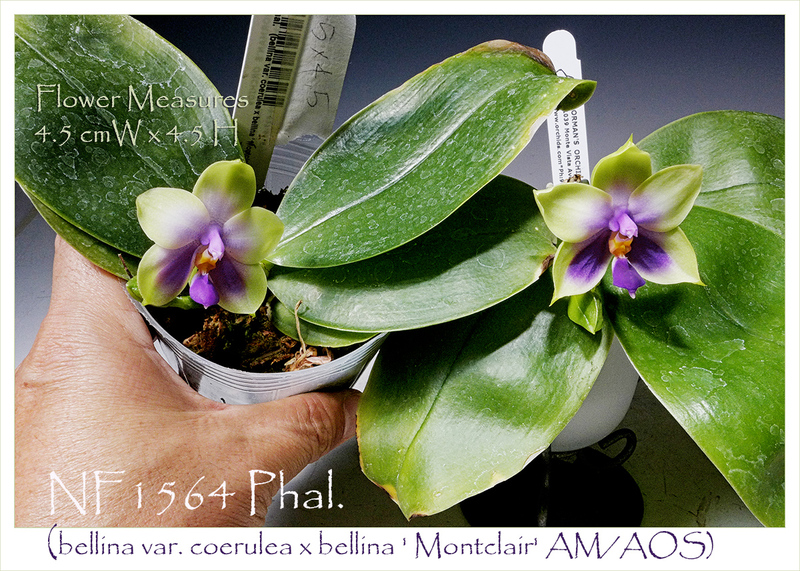 It’s an amazing combination of the coerulea (blue) form of Phal. 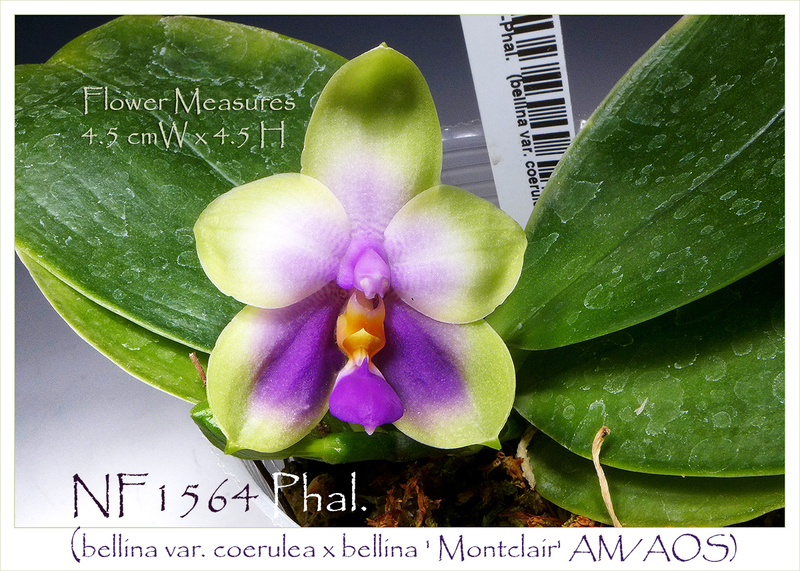 bellina from Japan (formerly known as Phal. 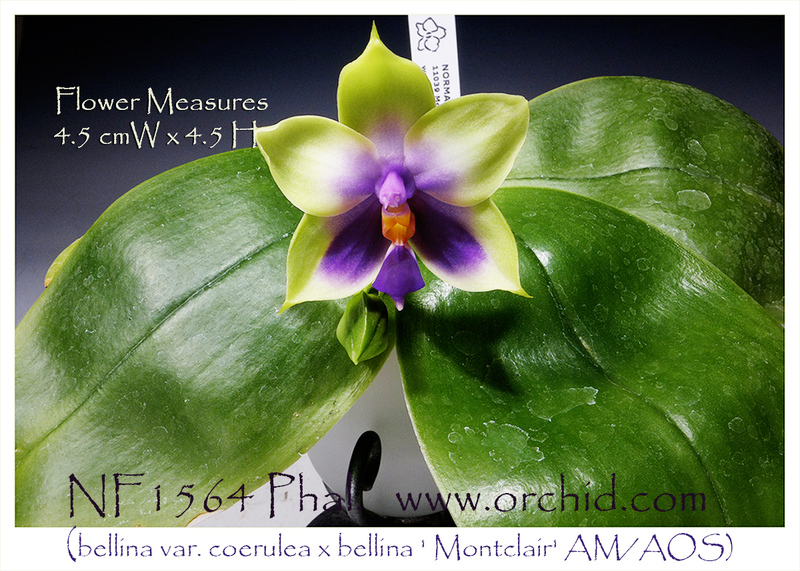 violacea) with our best traditional borneo form of Phal. bellina, the clone 'Montclair'. Extremely fragrant waxy flowers are borne sequentially on compact spikes for months beginning in early summer, the flower spikes cascading gently over broad gracefully undulating leaves. Will reflower from old spikes in addition to creating new each year so don’t remove them until they have turned brown. A fragrant and compact pleasure to add to any collection ! Since we’re letting our clients know about this strain first, it’s An Absolute Must !